Cool looking Buffalo Bore Ammunition baseball caps. High quality, 100% cotton caps. One adjustable size. Black, Tan, and Maroon colors available. High quality Buffalo Bore Ammunition 100% cotton Tan cap. One adjustable size. High quality Buffalo Bore Ammunition 100% cotton Black cap. One adjustable size. 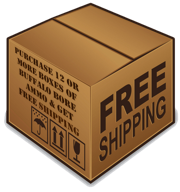 High quality Buffalo Bore Ammunition 100% cotton Camouflage Cap. One adjustable size. High quality Buffalo Bore Ammunition 100% cotton Olive Cap. One adjustable size. High quality Buffalo Bore Ammunition 100% cotton Maroon soft-cap with a stiff bill. One adjustable size.